Or simply come along to a session to view or join in. 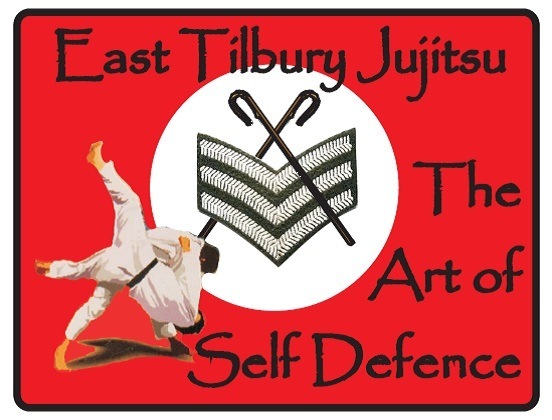 With two of the most respected Instructors in the Jikishin Ju Jitsu Association, the training and instruction at East Tilbury is among the best in the UK. The club has great success in competition, and has many Dan Grades to it's credit. The club is excellent for Ko Budo (weapons) Training as there is a large off mat area to practice, and both sensei's are level 1 Ko Budo coaches. The level of instruction at the club is unrivalled - there are few clubs that have two such high level, skilled and committed instructors as the East Tilbury Club. 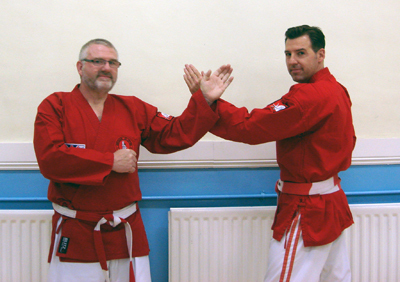 Feel free to come along and meet the Instructors - they are both knowledgeable and approachable. The club caters for beginners as well as higher Grades, and there is a warm welcome for those thinking about starting Ju Jitsu. Self Defence, Competition, Weapons, Kata, Groundfighting & Sparring are all practised regularly here.